Timothy Baptista, aka Timbo slice, is a young up and coming DJ out of the New England area. After discovering the underground electronic music scene late in 2010, he fell in love with the sounds of dubstep. Influenced by a couple of close friends who were already DJing at the time, Timbo decided to pick up the craft of disk jockeying in the winter of 2012. It wasn’t long after he started finding his groove and started seeing bookings in both the providence, RI and Boston, MA area. 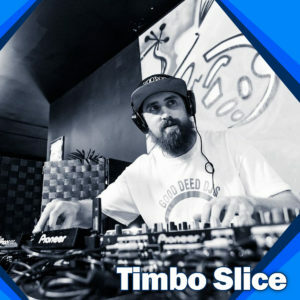 Now, Timbo slice has opened for some legendary acts, including jakes, joe nice, shiverz dabutcher, coffi, swindle and megalodon. It was late in 2015 when he met American Grime Co-Owner and MC, Calvin Cyrus aka MC Jumanji. Although he had heard plenty of UK and grime vibes in his day, Jumanji brought an American vibe to the grime beats that Timbo instantly took notice of. Since then he has been booked numerous times in South Florida, and has even had the opportunity to flex a 100,000 watt tsunami bass system in NYC and also the chance to play at NYC’s legendary Webster Hall. With help from fellow northeast DJ and friend Michael Savant, American Grime is beginning to get a prominent following across the northeast U.S.